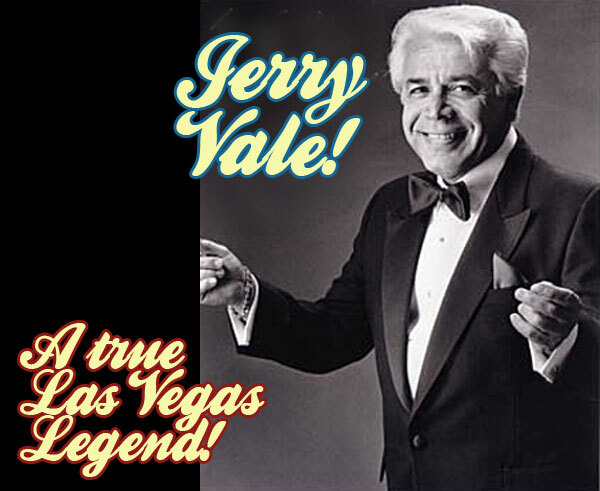 One of the titans of the strip, crooner Jerry Vale packed the houses in Vegas and on the road. He's considered one of the finest Italians singers of all time, his rich tenor bathed each and every song he sang with an authenticity other singers lacked. Known for his distinctive high-tenor voice, wide vocal range, and romantic crooning, he was most popular in the mid-1950s and early 1960s but continued to be a big draw on the Las Vegas Strip well into the 1990s. 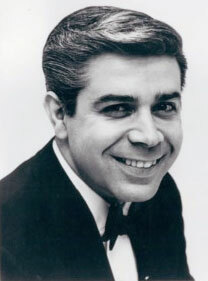 Born on July 8, 1930 as Genaro Louis Vitaliano, Jerry Vale began his career playing New York supper clubs as a teen then went on to record more than 50 LPs. His versions of "Volare," ''Innamorata" and "Al Di La" became classic Italian-American songs but his highest charting hit was "You Don't Know Me." Jerry Vale had his own acclaimed TV series in 1972, Jerry's World, which brought Las Vegas entertainment to the small screen. He also made stellar cameo appearances as himself in the 1990 film Goodfellas and the 1995 film Casino, both directed by Martin Scorsese, lending the film an added layer of authenticity. Vale was a friend of Frank Sinatra and an honorary pallbearer at Sinatra's funeral on May 20, 1998. Jerry Vale passed away in 2014 after many years of retirement in Palm Springs & Las Vegas. Tony Horowitz, trumpet player for Louis Prima's band 1974-1975: So we hooked up wih various acts when we were doing the summer theater curcuit, whether it was Sergio Franchi, or Jerry Vale or The Golddiggers. It was a wonderful experience being with The Golddiggers. They held forth like nobody's business, they sang, they danced, they were terrific. You're talking the major leagues here.